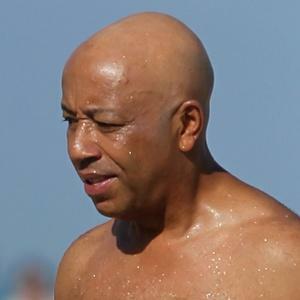 Russell Simmons has been tweeting up a holiday storm about meditation, letting go of neediness and greed for material things — but the Def Jam guru still threw a lavish pre-New Year’s party in St. Barts at the swanky and astronomically expensive Hotel Eden Roc. We’re told Friday’s party, awash with champagne, went until 3 a.m., with guests also including Rachel Zoe, society party boys Harry and Peter Brant and a host of leggy-model beauties. Simmons has been staying on the island with his model girlfriend, Hana Nitsche, and the pair have been working through a veritable Kama Sutra of yoga poses on the beach, even though his ex-wife Kimora Lee Simmons is also there with their children.